You can also add feedback for each option. 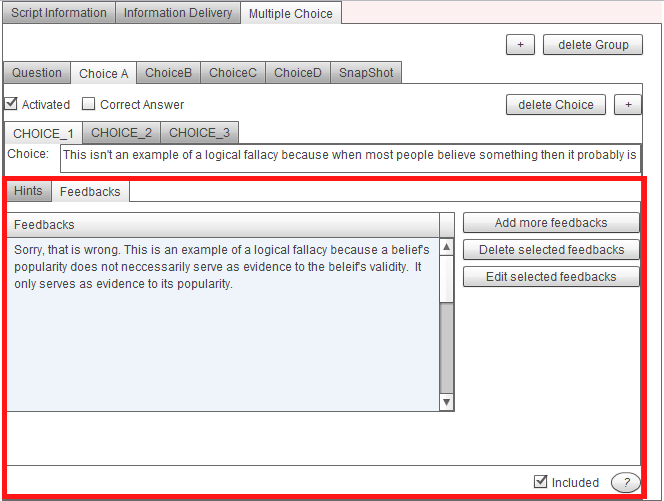 A well designed multiple choice question will target potential misconceptions in the distracter options. Feedback allows for just in time addressing of the exhibited misconception. Click the “Add more feedback” button to add feedback. If you provide multiple versions of feedback the system will randomly choose one option to display.